Your teachers in Class 4 are Mrs Hodgin (KS1 Phase Lead) and Miss Rumbold. You will also work with Miss Greave and Miss Ford who are the Year 2 learning support assistants. Keep looking at our page and follow us on twitter @stgac4 for updates, information and to join us in celebrating our fantastic learning! What made the London fire great? 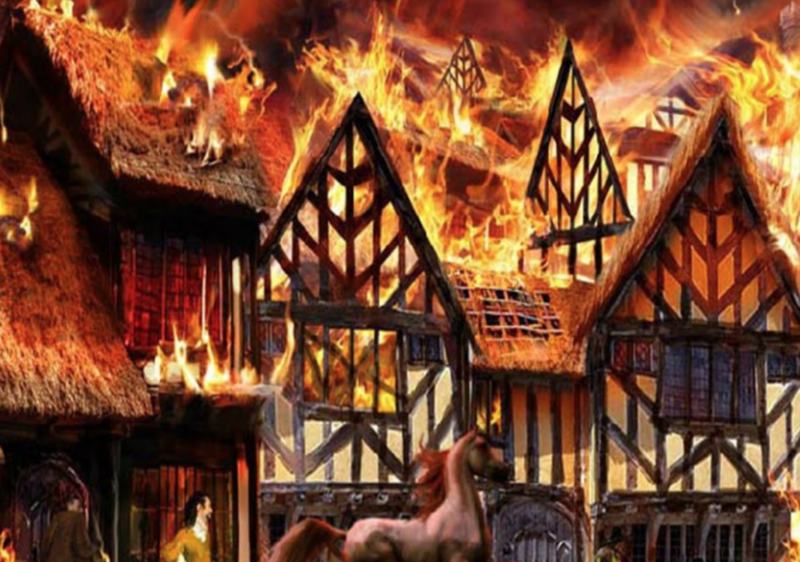 This term we are learning about the Great Fire of London. We will learn about our capital city and the United Kingdom. We look forward to learning more about the events that led to the fire and to begin to understand the significance and impact on life at the time. Watch this space for photographs and examples of our work. An extra special well done to our Gold Reading Award winners. Remember to read your book each night in order to receive a point towards your next reward. "Where can your imagination take you?" We will spend time over the next eleven weeks looking at different places, both real and imaginary! Our English work will focus on the stories: Little Red Riding Hood, The Tin Forest and Jack and the Beanstalk. We will predict what happens, infer what characters are thinking and feeling, write character and setting descriptions, diaries from the characters and retell our own versions of the story. We may have a future author in our class! In Project work we will be focussing on Africa as a contrasting locality. The children will be studying maps and locate different continents, countries and oceans. They will be learning all about Africa through Dance, Music and Artwork. Plant, Animals and Habitats will be the focus in Science over the term. They children will identify many different habitats and the animals that live there. They will even build habitats of their own for animals to find and explore! In Maths, Multiplication and Division, Statistics and Fractions will be our focus over the term. We will continually revisiting Place Value, Addition/Subtraction and Shapes though by linking all the different mathematical operations. Well done to all of our children who are reading at home everyday. Just a few pages or sharing pages with an adult each day makes a huge impact on your reading progress and understanding of stories. In addition to the whole school bronze, silver and gold awards, we are giving a small treat each time a child reads 5 times at home. Keep up the good work! We won the attendance cup and Giles the Bear for the week! We had a visit from the lovely Mayor of Lincoln, yesterday. We really did enjoy seeing him and hearing about what it is like to be Mayor. During Multi-faith week we visited Lincoln Mosque. The children were intrigued to see the Mihrab and Minbar and to hear about the Five Pillars of Islam. Thank you to the Imam, who showed us around and taught us more about the Islamic faith.